Sharing this from my Oak Tree Press publisher, Billie Johnson. I think there is much confusion among both readers and authors concerning the sales rank of books. The Amazon SALES RANK number is not a citation of the number of books sold. The SALES RANK number only tells the title’s rank in relation to all the other titles on Amazon, and a book sale is not the only factor in the calculation. Visitors to your detail page, and how the visitor got to your page (that is, did they query at the main page, or did they click-through from another title’s page? ), reviews, and numerous other factors play into Amazon’s highly secret algorithm that computes the Sales Rank. The computation is constant and changes as often as hourly. A dramatic shift in your sales rank MIGHT mean there was a sale or sales, but not necessarily. It is possible to employ a ‘bestseller campaign’ and drive many visitors to your page in a narrow time span and push the Sales Rank number into the Top 100 or some other bestseller list on Amazon and NOT SELL ONE BOOK! Sales of used copies are counted for rank also, but sales via Amazon Marketplace are not added to the Sales Report on our publisher’s dashboard. The reason for this is simple: neither author nor publishers are compensated for the sale of a used copy. And to add to complexities, Amazon changes things often, so just when you think you have it all psyched out—zap. Over the sixteen years Oak Tree Press has been in the biz, I have learned to stop worrying about Amazon’s wizardry and be grateful they provide the most level playing field (IMO) of any bookselling venue and we almost never get returns. Robert, please introduce yourself, tell the readers when you began writing, etc. I began writing when I was a teenager, but aside from a few poems and stories in school literary magazines, I didn’t start publishing until much later. My first book was the literary cookbook, A Taste of Murder, co-written with Jo Grossman. My first novel, The Wicked and the Dead, was published a few years later and the follow-up in the series, The Dead Don’t Forget, has just been published this year. I’ve also published a number of stories and one of them, “Identity Theft,” was a Derringer Award finalist. It’s available in the great eBook collection, Deadly by the Dozen, edited by Mark Terry. I have an English degree from Haverford College, and after college, I returned to my home city of New York and began a career in publishing. I later moved to Los Angeles and shifted gears a bit, working in the film and television industry for a time – an experience which provides much of the background for my Hollywood-based mystery series featuring screenwriter-sleuth Billy Winnetka. I live in California with my wife and daughter (who is currently away at college). Beyond my literary pursuits, I am an avocational singer and actor. Do you write every day, and are novels the only things you write? I write every day because I write for a living – that is, I make my living writing press and marketing material for publishers. I have also been a monthly review columnist for the national book review, BookPage, for eleven years. These commitments often prevent me from writing “creatively” on a daily basis, but I believe any writing we do helps to make us better writers, so it is all part of the process. I know you have a new novel that’s just been released. Please tell my readers about it. 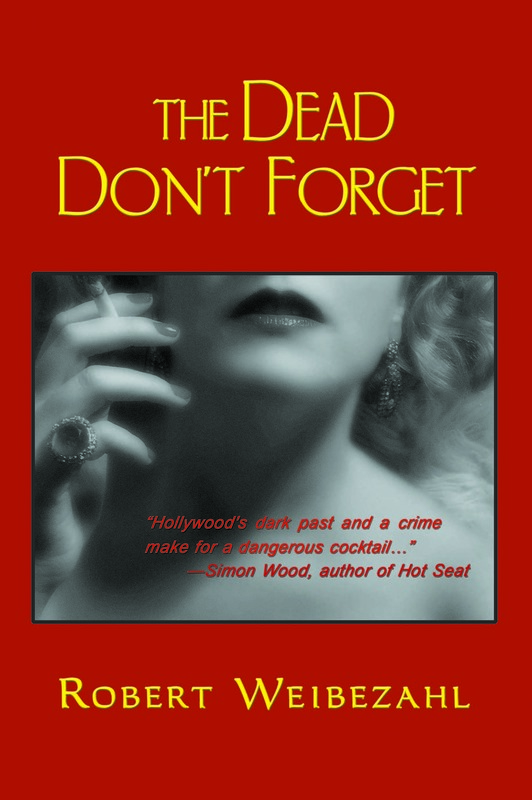 The Dead Don’t Forget, from Oak Tree Press, is the second in a crime fiction series featuring screenwriter-sleuth Billy Winnetka. The books are set in Los Angeles in the 1990s. In this installment, Billy meets a screen legend—a now 80-something woman who was a huge star in the silent film age. Gwendolyn Barlow is living in her deteriorating mansion in Hancock Park, largely forgotten. 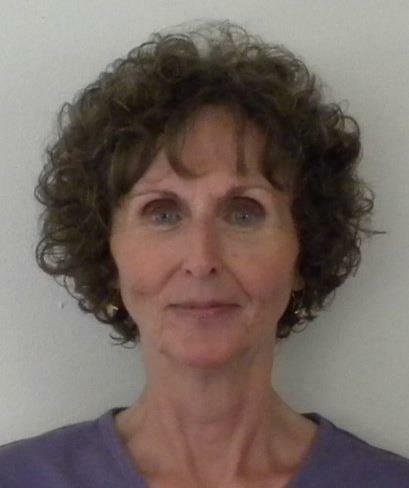 But someone remembers her, because she has been getting disturbing phone calls, threatening her with death. Or so she says—no one really believes her at first. But things turn uglier when someone actually makes an attempt on her life. Billy is soon mired in an investigation that suggests more than one person may have a reason to want Gwendolyn dead. Meanwhile, Billy is spending his days on the movie set where his screenplay, Perchance to Dream, is being filmed. It is not going well. A hot head novice director is wreaking havoc, and, being Hollywood, innocent heads will roll. Billy’s only solace is a new romance—with Gwendolyn’s attorney, Kate Hennessey. But in Billy’s world, nothing, especially not love, is without complications. What other novels have you written? The Wicked and the Dead. What is your most rewarding writing experience? For me, the most rewarding thing is when a reader lets me know that he or she enjoyed one of my books – and why. It is particularly gratifying if a reader “gets” what I was hoping to accomplish. Just yesterday, for example, an old friend who I worked with in the film business called to tell me he enjoyed The Dead Don’t Forget, and he told me he had been reading the book in a doctor’s waiting room when he got to the moment where a character is killed. He said he uttered, “Oh, no!” aloud and everyone else in the room looked at him as if he were crazy. I just love knowing that he was that absorbed in the book and cared that much about a character. Do you belong to any writing groups, or critique groups? No, I’m a bit of a lone wolf in that way. I always have a few things in the works. I’m working on a noir book set in the early 1960s, and another novel, set in Hollywood in the 1930s, is percolating. And I should get to work on the third Billy Winnetka books, for which I have a general outline in my head. I’ve also written a play, Which Way the Wind Blows, that I hope will be produced. Is there anything you would like to share with our readers? First and foremost, thanks for their support of writers. Publishing has changed so much over the last decade or so, and the commercial success of a book is more and more dependent on word of mouth and online buzz. So if you enjoy a book – be it one of mine or someone else’s – do post your comments on amazon.com or goodreads.com or any other site that reviews and/or sells books. Writers really appreciate that. Please provide the readers with a link to your website, and a link to your book. Thank you, John, for inviting me to be your guest at your wonderful blog. Today I’m visiting with JL Greger, scientist, professor, textbook writer and university administrator. Now, a fiction writer, her work inserts glimpses of scientific breakthroughs and tidbits about universities into her medial mysteries and suspense novels. Please introduce yourself to my readers. Hi. Although I no longer teach biology and do research at the University of Wisconsin-Madison, I still enjoy reading about scientific breakthroughs and putting tidbits of science into my medical mystery/suspense novels. So far, they are Coming Flu (2012), Murder: A New Way to Lose Weight (2013), and one tentatively called Ignore the Pain (hopefully 2013). I’m always confused by the question: When did you begin writing? Writing of what? In 1973, as I struggled with my dissertation in nutrition, I learned that publish or perish was a reality for me. Thus, I began a career of churning out research articles in nutrition and toxicology. If you want to know the fine points of how your body handles metals, such as aluminum and manganese, I’m your woman. In the mid-eighties, I recognized that I could reach thousands of students interested in nutrition instead of hundred if I wrote a textbook for non-majors. Actually, I should admit that many students who take a “non-majors nutrition” course aren’t interest in nutrition per se, they’re meeting a requirement to complete a course in the biological sciences. It’s a tough crowd but with a co-author, we produced four editions of Nutrition for Living. I retired early so I could start writing novels in 2006. There are many differences among writing styles used for research articles, texts, and novels. However, in all three, you’re telling a story and the details are important. I try to spend time writing or editing a novel or short story and publicizing my work, mainly with blogs, every day. Reality is: I’m successful five days out of seven. Tell us about your latest book. 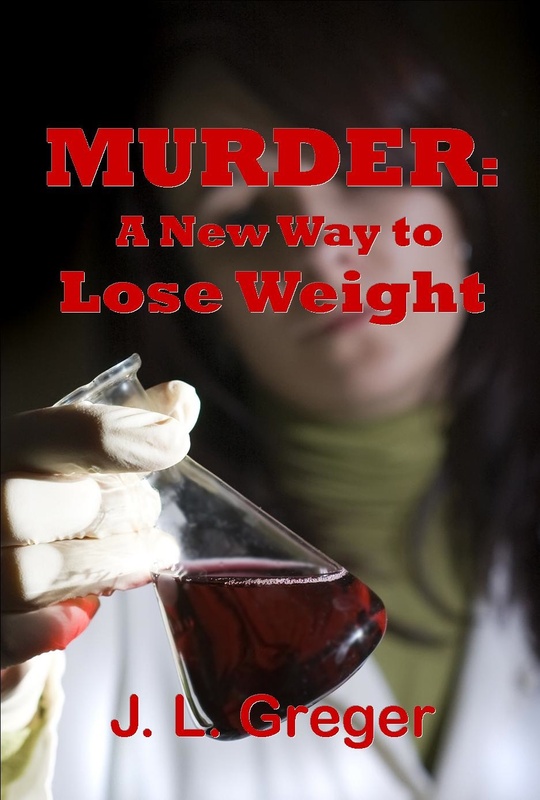 In Murder: A New Way to Lose Weight, physician Linda Almquist must discover whether an ambitious young “diet doctor” or old-timers with buried secrets have the most to gain from the deaths of two women in a medical school in the Southwest. Otherwise she might be next woman killed. This book could be considered an insider’s view of a medical school. It’s not what is portrayed in many novels and movies; it’s grittier and funnier. What other books have you written? What are your new projects? In Coming Flu, epidemiologist Sara Almquist, Linda’s sister, is trying to stop two killers: the Philippine flu, which is rapidly wiping out everyone in a walled community in New Mexico, and a drug kingpin determined to break out of the quarantined enclave. Coming Flu was published in 2012. In the third novel of the series, tentatively called Ignore the Pain, Sara will find the wrong people from her past follow her to Bolivia when she accepts a public health assignment there. I hope Oak Tree Press will be publishing it in November of this year. And yes I have visited Bolivia. I’m still waiting for it. Do you belong to any writing groups? I’m a member of Croak and Dagger, the Albuquerque chapter of Sisters in Crime, and Southwest Writers. Are you working on any new projects? I plan to send Sara to more exotic locations with medical or epidemiological problems (i.e. Cuba, Thailand, Jordan and Lebanon) in future books in my medical mystery series. I’ve already traveled in Lebanon and Thailand and have booked a trip to Cuba. Then there are other pet projects. I’ve extensively rewritten and renamed for the third time my first novel. Maybe, this one set in New England will see the light of day in 2014. I also dabble in short stories about my childhood on a farm in the Midwest in the fifties. My short story “Shoes” was published in the Oak Tree Press anthology Felons, Flames, and Ambulance Rides and won second place as a short story in the 2013 PSWA (Public Safety Writers Association) competition. 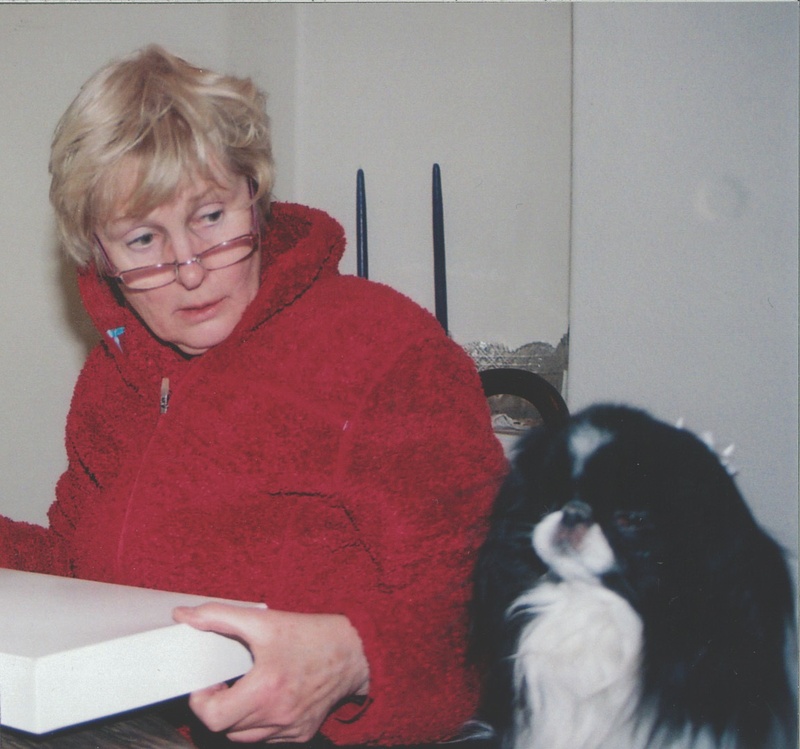 I included my Japanese Chin Bug in all three of my novels. He’s a great pet therapy dog, but he has a mind of his own, as the picture shows. Please introduce yourself, when you began writing, your background, where you live, etc. I began writing, mostly poetry, back in 1990. Poems would come to me intact and I couldn’t just sit down and write one because I wanted to. 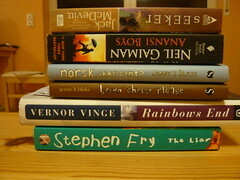 These soon evolved into articles and short stories and now, into a book. I am a Kentucky native who grew up in Cincinnati, Ohio and moved to Colorado’s western slope 32 years ago. I live in a beautiful little tourist town in the mountains where I once was a bookstore owner. I am married to a 42-year veteran law enforcement officer and we are both now retired. Prior to my bookstore, I worked in advertising, travel and medicine and spent a good many years being a stay-at-home Mom. When I am in throes of a project, I do write every day. Of course, I write every day answering e-mails, marketing my book or participating in social media. I normally do not write fiction and have also written a great deal in genealogy, history, poetry and have had numerous short stories and articles published over the last 23 years. I know you have a new novel just released. Please tell my readers about it. 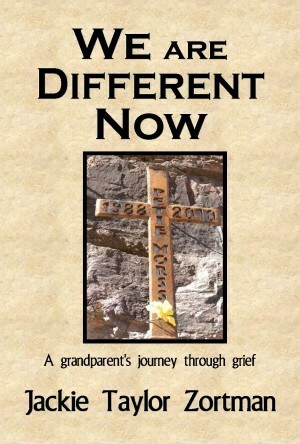 My book We Are Different Now was born when my 21-year old grandson, Pete, fell to his death in the pitch black of night while celebrating July 4, 2010. He lit a firework of some magnitude and dropped it, so instinctively jumped backwards, falling straight to the canyon floor and riverbank below. It took just three seconds and killed him instantly from a skull fracture. This happened in the wee hours of July 5th, his mother and my daughter’s, birthday. He had been born on my son’s birthday. Being our oldest grandchild, he was the absolute apple of my eye. My book tells the story of my journey with death on the mountain and I invite my readers to come along with me to discover what has been revealed to us since we lost this young man with the angelic face and who was born possessing an old soul His death has changed my life in many ways. It has, amazingly, been selling to people of all ages and in all walks of life, to my delight and amazement. What other writing interests you? For several years, I wrote the police report for the newspaper, which was an experience in itself, mostly because people are not familiar with cop jargon. That can result in someone who decides to edit your report completely changing the context of what you are saying. I also have a novel that is fiction based on fact that I will soon rewrite and attempt to get published. This book took me three years to write, due to the violent nature of the cases involved. Having to read so many different reports and files, there were times when I had to stop writing for a few weeks because it became overwhelming. I’ve also written for several anthologies in the law enforcement genre and also history and genealogy are fascinating subjects for me. Poetry and I seem to have parted company for now. At this point in time, I would have to say that my book We Are Different Now has been my most rewarding experience. It took 16 months after Pete’s death before I was able to begin writing and another full year to complete. Luckily, I immediately had a publishing contract with Oak Tree Press and my book was on the market six months later. Therefore, I believe that I must have had some major help along the way to accomplish that so quickly. I simply had a deep gut feeling that this is what Pete would have wanted me to do – create something positive out of that which is so painful for me. My goal was merely to have my book be “out there” and it certainly is. That has been a huge reward for my heart and soul. In 1994, I became a member of the Police Writers Club, which evolved into the Public Safety Writers Association later, and I am still a proud member of that organization. Living remotely, as we do, I do not know of any nearby critique groups. I do have a group of far-flung friends who will read and critique my work for me. Yes, I have three different projects partially written and they are all different. One is the rewrite of my novel Footprints In The Frost that is fiction based on fact and will be a romantic mystery. Another is a compilation of stories I’ve written over the years that remains untitled. This is the one that I’d just love to steal your “Nightstand Collection” title for, but will not. And the third will be called “Bullets, Badges and Me” and will be a cop tale. I read that your writing has won awards. Can you tell us about those honors? After entering my very first writing contest, I was very surprised to win two third place awards in the 2013 Public Safety Writers Association Contest in July for two articles I’ve written. One is in the non-fiction, non-technical, non-published category called “Amache”. This is about a WWII government internment camp for Japanese/Americans located in eastern Colorado. My husband had seen this place intact as a little boy, though it was then empty. We had looked for it for years and finally found mostly concrete foundations, a few houses and a playground still intact. We were totally alone and it was eerie to view. My second award was in the non-fiction, non-technical, published category titled “The Siege At Cortez,” that I wrote at an editor’s request and is about the horrible butchering of law enforcement officers in the Four Corners area years ago. That article was the very first time I received a sizable check for my work, rendering me a bona fide professional writer. Yes, I doubt that anyone can possibly understand how much blood, sweat and tears are involved in writing/publishing/marketing a book. It has been a huge revelation to me to discover how many different facets there are between first sitting down to write and actually holding the finished book in your hand. It has been and continues to be a tremendous education for me. So, to those of you who are seasoned book authors, I applaud your months and years of hard work to provide quality entertainment for your readers and your willingness to help those of us with less experience find our way. Along this path, I have been introduced to so many wonderful people and gained really good friends and view that as part of the gift that we are given when we discover that we can write. To those of you who buy and read our books, blogs and websites, we are eternally grateful because when we get a letter or comment from you, that’s the ultimate prize. You are the reason we do what we do. Thank and bless you all. 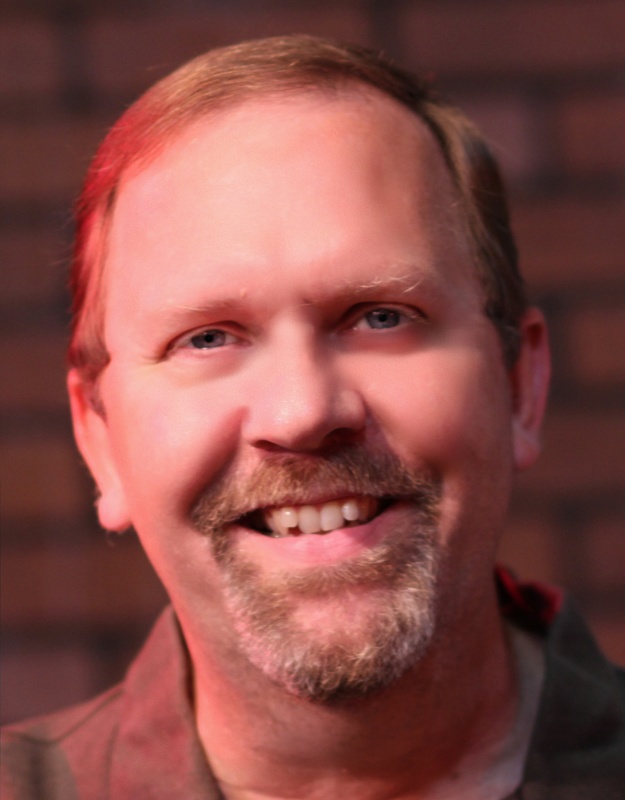 And thank you, John, for allowing me to be a guest blogger on your site. My blog is: http://www.jtzortman.wordpress.com My book is called “We Are Different Now” and can be purchased at www.BN.com, www.Amazon.com, www.shopOTPbooks.com or in Barnes & Noble stores.